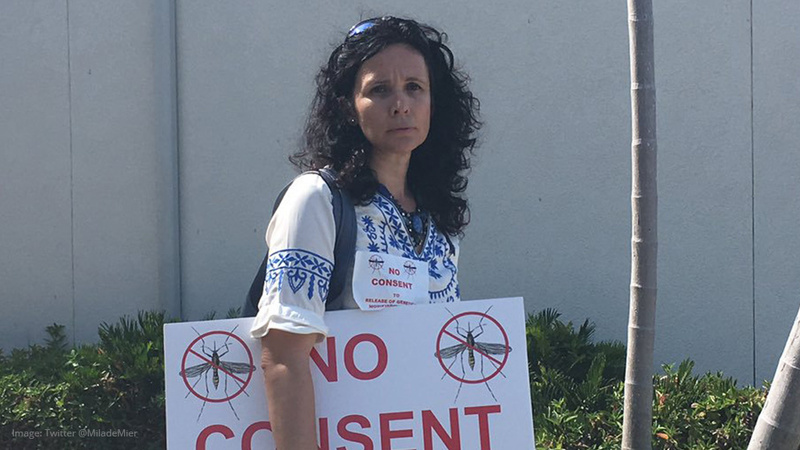 An activist who opposed genetically engineered mosquitoes has been found dead in the swimming pool of a Washington D.C. hotel, just hours before she was due to submit a petition with over 200,000 signatures to the EPA. 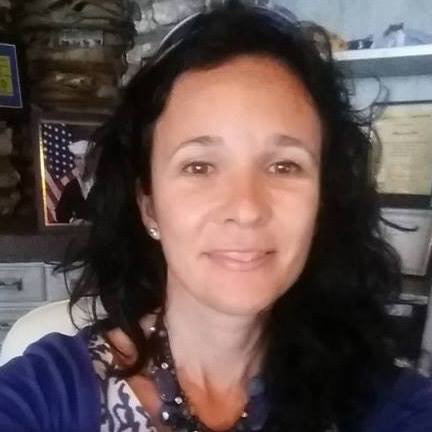 Derrick Broze of Activist Post has investigated the story and spoken to a close friend of the victim, whose name is Mila de Mier from Key West, Florida (see below). The D.C. Fire Department says the reported incident happened at the Cambria Hotel & Suites Washington, D.C. Convention Center on 899 O Street, NW. They say they were called to the scene at around 9:35 a.m. Medical crews say they attempted to treat the victim but later pronounced her dead. Her death, of course, reminds informed observers of all the death threats that other anti-GMO activists have been subjected to over the years, thanks to the “black ops” biotech industry running intimidation campaigns, reputation smear campaigns and political bribery campaigns to grease the palms of politicians. If you weren’t aware that people who oppose the biotech giants or vaccine industry are being routinely assassinated across America, you’re not up to speed on what’s really happening. Is the GMO industry now running assassin squads to murder anti-GMO activists? It’s not a far-fetched idea, given how aggressively the GMO industry has pursued online character assassination teams backed by millions of dollars in annual funding. It’s also, by the way, why wise activists never use their real names when staying at hotels. (And they don’t pay for hotel rooms using credit cards.) More and more anti-GMO activists, I’m told, are arming themselves in self-defense, creating a fascinating mix of left-leaning anti-GMO activists who are pro-Second Amendment. On Tuesday morning Mila de Mier—a 45-year-old activist from Key West, Florida who opposed the release of genetically engineered mosquitoes—was found dead in a swimming pool at a hotel in Washington D.C. De Meir was visiting D.C. to deliver a petition to the Environmental Protection Agency demanding the agency deny a permit for the release of genetically engineered mosquitoes in Florida and Texas. Fox5 in D.C. notes that the police report claims a witness found de Mier floating inside the rooftop pool and called 911. The Metropolitan Police Department in D.C. is investigating the exact circumstances of the drowning. Activist Post spoke with Barbara Napoles, a fellow activist and long-term friend of de Mier who accompanied her on the trip to Washington D.C., and one of the last people to see her alive. Napoles worked with de Mier for years as part of the Never Again Foundation, an organization that focused on a variety of environmental causes. Napoles explained that she and de Mier had worked on the GE mosquito issue for years and had previously made trips to the Food and Drug Administration in an attempt to express their concerns. According to Napoles, de Mier called her on Thursday April 5 to announce her intention to drive from Florida to Washington D.C. to file her petition with the EPA. The two headed to Washington on Sunday, arrived on Monday, and planned to deliver their petition on Tuesday morning. Around 8:45 a.m. Tuesday morning de Mier left Napoles to go for a quick swim at the hotel’s rooftop pool before heading to the EPA. This was the last time Napoles saw de Mier alive. Regarding the possibility of death by accidental drowning, Napoles said Mila de Mier was not known to be a weak swimmer and had swum with whale sharks in the past. Napoles said the two also had plans to go swim with dolphins in June. “She wanted the people of Houston to have time to comment on the release of GE mosquitoes. She would want people to continue the fight,” Napoles stated. Napoles is referring to the potential upcoming release of GE mosquitoes in the Houston area. The mosquitoes to be released in Houston are created by Oxitec, the British biotechnology company responsible for the same mosquitoes de Mier was fighting in Key West. Oxitec was involved in the controversial vote in the Florida Keys during the 2016 election. In that vote, residents of the Key Haven voted against the release of the mosquitoes in their community. However, shortly after, the trials were approved for a different location in the Keys. Despite the approval, opposition to the controversial project has not ceased. In late November 2016, Health News Florida reported that a coalition of groups, including the Center for Food Safety and the Florida Keys Environmental Coalition, have filed a 60-day notice of intent to sue the U.S. Food and Drug Administration. Activist Post will continue to follow the developments related to the release of GE mosquitoes, as well as any new developments regarding the death of Mila de Mier. We would like to offer our condolences to the family of Mila, as well as give thanks and appreciation to Mila de Mier herself for all of her tireless work to educate the people of Key West. She was supported and loved by many people who took inspiration from her efforts. Let us honor her memory by continuing her fight. « Tesseract in front of sun?